An extensive project that comprises an interest in the Amazonian rainforest, an organism unique to this region -the Victoria amazonica-, and the concern for the survivability of this region, with its critical role in climate stability. 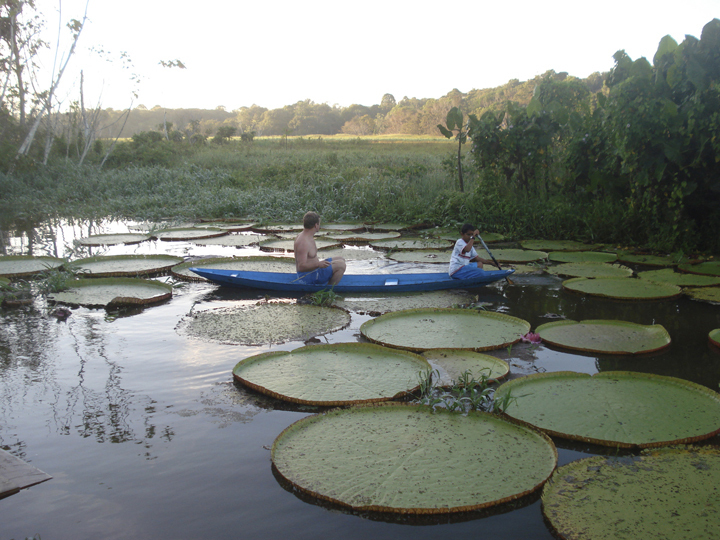 Called by most of the locals the Victoria hegia, the plant was renamed the Victoria amazonica years ago. MacArthur references it as Mumuru, the name given it by the Tipi Indians, some of the longest tribal inhabitants of the region. MacArthur's life interest in integrating the physics of light, comes into relevance as she explores, both in the organism and the larger body of work, the significant role of sunlight within the abundance of life in this bio region. The giant water lily stands as a symbol of the magnitude of photosynthesis. The initial rigorous accomplishment of this project was to make a complete two part giant mold of the 5 ft dia. organism and utilize that imprint to generate further study and works. For full project documentation visit the archives.